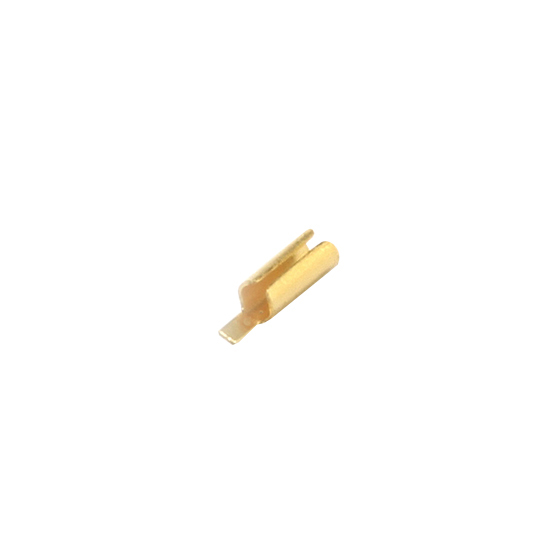 K110-1-R is designed to connect to a 0.15 mm or larger, microstrip trace on Alumina. The installation note for K110-1 shows how to make connection using gap welding, wire bonding or soldering. The K110-1-R is RoHS compliant. It contains less than the Maximum Concentration Values (MCVs) for Lead, Mercury, Cadmium, Hexavalent Chromium, PBB and PBDE per EU directive 2002/95/EC. The following RoHS exemption applies: Lead as an alloying element in copper containing up to 4% (40000PPM) lead by weight.